Cincinnati Bell is the dominant telephone company for Cincinnati, Ohio, its nearby suburbs, and the Dayton metropolitan area in the U.S. states of Ohio, Indiana and Kentucky. Through the holdings of its parent company Cincinnati Bell Inc. it is also the dominant provider for the State of Hawaii. Its incumbent local exchange carrier subsidiary uses the name Cincinnati Bell Telephone Company LLC. Other subsidiaries handle services such as IT Solutions and long distance calling. The Cincinnati and Suburban Telephone Company Building is a registered historic building. Cincinnati Bell started out as the City and Suburban Telegraph Association and was providing telegraph lines between homes and businesses in 1873, three years before the invention of the telephone. In 1878, it gained exclusive rights to the Bell franchise within a 25-mile (40-km) radius of Cincinnati—the first telephone exchange in Ohio and the tenth in the United States. It has substantially the same incumbent local exchange carrier territory today, straddling 2,400 square miles in three states. The name changed to Cincinnati and Suburban Bell Telephone Company in 1903. It was shortened to Cincinnati Bell in 1971. Cincinnati Bell and Southern New England Telephone (SNET) were the only two companies in the old Bell System that operated independently because AT&T Corporation only owned minority stakes in the companies. Therefore, neither is considered a Regional Bell Operating Company (RBOC), AT&T was not obligated to dispose of their ownership stakes in the companies, and restrictions placed on the Baby Bells did not apply to these two companies. AT&T owned 32.6% of Cincinnati Bell until 1984, at which point the shares AT&T owned were placed into a trust and then sold. In 1998, SNET was bought by SBC Communications (Now the new AT&T), an RBOC, and in 2014 was sold to Frontier Communications, a company with no relation to the former Bell System; Cincinnati Bell, however, has remained independent. Cincinnati Bell's residential landline service continued to use the classic Bell logo until 2016. In May 1999, the Public Utilities Commission of Ohio awarded Cincinnati Bell Long Distance the right to offer local wireline telephone service in 55 counties outside its incumbent territory and the company began to resell business local phone service in these counties, in competition with incumbent carrier Ameritech. During the 1990s, Cincinnati Bell acquired a nationwide transmission network formerly known as IXC Communications and changed its corporate name to "Broadwing Communications," although the local telephone operations continued to operate under their traditional name. In 2004, the holding company divested the long-distance operation as Broadwing Corporation and changed its name back to Cincinnati Bell. In 2002, Cincinnati Bell sold Cincinnati Bell Directory, consisting of its directory operations, to Spectrum Equity. The resulting company is named CBD Media. The sale marked the first time a former Bell System-affiliated company had sold off its directory operations. In 2003, when BellSouth exited the payphone market, some former BellSouth payphones in Kentucky were sold to Cincinnati Bell. 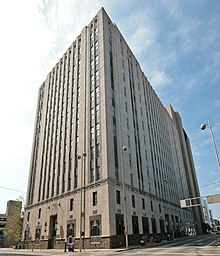 Cincinnati Bell's original headquarters, the Cincinnati and Suburban Telephone Company Building, is listed on the National Register of Historic Places. On July 10, 2017, Cincinnati Bell announced it would acquire Hawaiian Telcom Holdco, Inc., parent of local telephone company Hawaiian Telcom for $650 million and Toronto-based OnX Enterprise Solutions for $201 million. With the completion of the Hawaiian Telcom acquisition, the size of Cincinnati Bell's fiber network is expected to exceed 14,000 fiber route miles. Cincinnati Bell provides landline PSTN local and long-distance calling. In recent years, the company has seen subscriptions to these traditional services decline due to competition from cable and wireless providers. From 1998 until 2015, Cincinnati Bell Wireless (CBW) offered GSM wireless service in southeastern Indiana, southwestern Ohio, and northwestern Kentucky. It was sold at Best Buy, Circuit City (until 2009), Office Depot, and participating Kroger locations. It offered HSPA+ service in most of Hamilton County, Ohio, and parts of surrounding counties; EDGE service in Dayton and Oxford; and GSM service elsewhere. The local coverage area extended north to Celina and Urbana, east to Hillsboro, south to Corinth and Warsaw, and west to Batesville. Cincinnati Bell's prepaid mobile phone products were sold under same i-wireless brand as an unrelated service by locally based Kroger. Cincinnati Bell made its first foray into wireless telephony around 1986, when it acquired a 45% stake in Ameritech Cellular. On February 2, 1998, Cincinnati Bell acquired 80% of AT&T Wireless Services's new Cincinnati-Dayton PCS network for over $100 million. Cincinnati Bell's subsidiary Cincinnati Bell Wireless was responsible for marketing and sales, while AT&T Wireless handled technical operations for the joint venture. Wireless service began by June in Cincinnati and by September in Dayton, eventually covering a 21-county area. When AT&T Wireless was purchased by Cingular, now known as AT&T Mobility, control of its 20% stake also passed to Cingular. On February 17, 2006, Cincinnati Bell took full control of CBW by purchasing Cingular's stake for $83 million. As a part of the deal, Cincinnati Bell and Cingular secured lower roaming charges on each other's respective GSM networks. On April 7, 2014, Cincinnati Bell announced plans to sell its wireless spectrum and other assets to Verizon Wireless, as part of a planned emphasis on enterprise and entertainment services such as FiOptics. Cincinnati Bell Wireless ended service on February 28, 2015. The company's retail locations began selling Verizon products. Cincinnati Bell offers Internet access to customers in its service area. Its primary competitor for broadband Internet access is Charter Spectrum Internet. In late 2009, Cincinnati Bell started offering a fiber-optic communications (Internet, telephone, and IPTV) service called FiOptics, similar to the U-verse service offered by AT&T and the FiOS service offered by Verizon Communications. 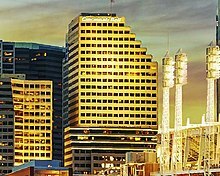 Cincinnati Bell's FiOptics provides Internet at speeds from 5 Mbit/s up to 1 Gbit/s to over 500,000 homes in the Cincinnati metropolitan area and its nearby suburbs. The availability is limited to areas currently wired for FiOptics, and other FiOptics services are not required. In areas now covered by FiOptics, Cincinnati Bell no longer offers ADSL-only speeds greater than 5 Mbit/s. Cincinnati Bell originally operated a chain of Cincinnati Bell Phone Center locations until 1992, when it sold the retail chain to AT&T. It reentered the retail space in 1998 with three Store@Cincinnati Bell retail locations. As of 2018[update], the company operates nine Cincinnati Bell Stores. ^ "1983 Annual Report American Telephone & Telegraph Company- AT&T". ^ "Reliable Home Phone Service from Cincinnati Bell". Cincinnati Bell. Retrieved April 8, 2014. ^ "Bell to compete with Ameritech". Cincinnati Business Courier. American City Business Journals. May 6, 1999. Retrieved March 29, 2015. ^ "Bell taking on Ameritech in Ohio markets". Cincinnati Business Courier. American City Business Journals. July 19, 1999. Retrieved March 29, 2015. ^ a b Pichler, Josh (August 5, 2013). "IN-DEPTH: A new calling for the last of the Bells". The Cincinnati Enquirer. Gannett Company. Retrieved April 8, 2014. Bell is the last of its breed, the only surviving regional Bell company still bearing the monicker of the telephone’s inventor. ^ "Long Distance Calling". Cincinnati Bell. Retrieved April 8, 2014. ^ Moritz, Scott (July 10, 2017). "Cincinnati Bell to Buy Hawaiian Telcom, OnX for $851 Million". Bloomberg. Retrieved October 25, 2017. ^ "Cincinnati Bell's OnX, Hawaiian Telcom acquisitions solidify fiber and consulting capabilities, but investors expect execution | FierceTelecom". www.fiercetelecom.com. Retrieved 2017-12-06. ^ Buckley, Sean (2011-07-07). "Cincinnati Bell's new broadband and energy ventures are all about survival". FierceTelecom. FierceMarkets. Retrieved 2011-09-12. ^ Goldstein, Phil (July 6, 2011). "Cincinnati Bell joins 4G parade with HSPA+ rollout". FierceWireless. Retrieved December 27, 2014. ^ "Cincinnati Bell Wireless Network Policies" (PDF). Cincinnati Bell Wireless. August 18, 2014. Archived from the original (PDF) on April 2, 2015. Retrieved December 27, 2014. ^ "Cincinnati Bell Wireless Coverage". Cincinnati Bell. Archived from the original on January 3, 2015. Retrieved December 27, 2014. ^ "i-wireless". Cincinnati Bell Wireless. Retrieved December 27, 2014. ^ a b Boyer, Mike (February 4, 1998). "Cincinnati Bell adding wireless". The Cincinnati Enquirer. Gannett Company. Retrieved March 29, 2015. Cincinnati Bell made its long-awaited entry into wireless communications Tuesday, acquiring 80 percent of AT&T Wireless Services' new Cincinnati-Dayton network for more than $100 million. ... Under the agreement, Cincinnati Bell Wireless will handle the business side of the venture, and AT&T Wireless will concentrate on the technical side of the digital Personal Communications Service (PCS) network. AT&T Wireless is building the network over 21 counties, stretching from Springfield south to the Interstate 75-71 split in Northern Kentucky and from Clermont County on the east to Lawrenceburg on the west. ^ a b Boyer, Mike (October 21, 1997). "Bell will open 3 stores". The Cincinnati Enquirer. Gannett Company. Retrieved March 29, 2015. ^ "Company News; AT&T and Cincinnati Bell agree on wireless partnership". The New York Times. The New York Times Company. February 4, 1998. Retrieved March 29, 2015. ^ McCarthy, Erin (April 7, 2014). "Cincinnati Bell to Sell Wireless Spectrum Licenses to Verizon Wireless". The Wall Street Journal. Dow Jones & Company. Retrieved April 8, 2014. ^ "Cincinnati Bell Wireless: We have some exciting news!". Cincinnati Bell. 2014. Archived from the original on December 28, 2014. Retrieved December 27, 2014. ^ Arnason, Bernie (September 29, 2009). "Cincinnati Bell Makes GPON Moves, Follows FiOS Lead". Retrieved November 10, 2009. ^ "Index". The Wall Street Journal. 2. p. 1462 – via Google Books. Cincinnati Bell Inc. agreed to sell its telephone equipment leasing and Phone Center Store business to AT&T Co. AT&T will provide telephone lease service to Cincinnati Bell's residential lease customers and operate AT&T Phone Centers in the Cincinnati and northern Kentucky region beginning Feb 1, 1993. ^ "Cincinnati Bell Store & Payment Locations". Cincinnati Bell. Retrieved August 28, 2018.